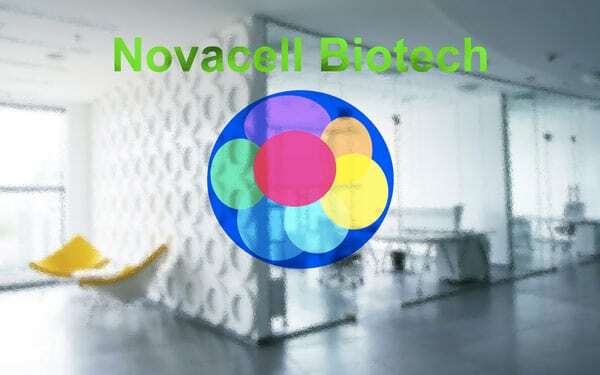 Novacell Biotech Company Srl was founded with the purpose of studying and developing supplementary treatments in the field of oncology, neurodegeneration, anti-aging and in general for prevention and wellness. Novacell research laboratories are at the forefront of ground breaking science on how we age. 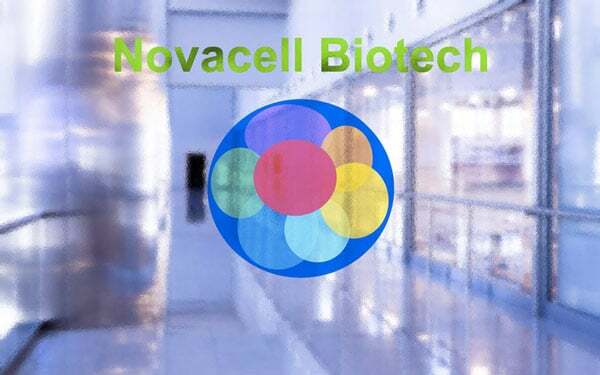 Scientific innovation has established Novacell as a leader in the nutritional and personal care industries. Our proprietary product formulations and technologies enable us to set new industry standards with real solutions that exhibit demonstrable results. MD Pier Mario Biava demonstrates our commitment to research and development by collaborating with multiple leading research institutions. These collaborative relationships help us develop next-generation skin care and nutritional products with an enhanced understanding of aging. 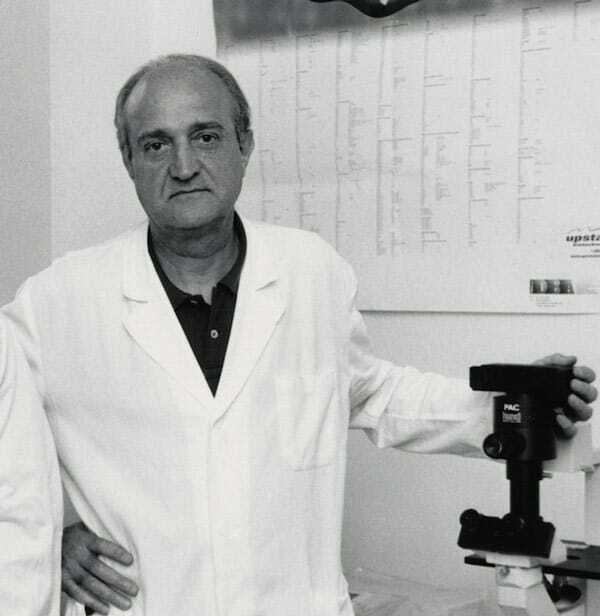 After more than 25 years of research in the medical field MD Pier Mario Biava has formulated innovative products. Can Cell Integrity or Cell Reprogram be taken by diabetics? and they can be taken by diabetics. Can Cell Integrity or Cell Reprogram be taken by those who are lactose intolerant? Can Cell Integrity or Cell Reprogram be taken by individuals with celiac disease? and they can be taken by celiac disease patiens. At the plant, there is no trace of gluten. Can Cell Integrity or Cell Reprogram be combined with drugs? In presence of special circumstances or during drug therapy it is recommended the supervision of a doctor who, knowing in depth the medical history of his patients, will give the best advice. Can Cell Integrity or Cell Reprogram be taken on an ongoing basis? ...and how long? Cell Integrity and Cell Reprogram are formulated to meet the nutritional need of vitamins and minerals. Being a food supplement it can be taken in compliance with the instructions for use, even for extended periods of time as it provides levels of vitamins and minerals in line with the recommended daily requirements. May it create any risk of overdose? No, if it is taken in compliance with the instructions for use. We recommend 3 tablets of Cell Integrity or Cell Reprogram per day, to be dissolved slowly in the mouth at regular intervals, it does not matter whether before or after meals. No. It is a food supplement, not a drug and therefore does not cure or prevent diseases. Cell Integrity or Cell Reprogram are supplements of vitamins and minerals, specially formulated by MD Pier Mario Biava. Food supplements can contribute to the body’s well-being by optimizing nutritional status. It is recommended in case of reduced dietary intake of these substances or increase of their physiological need. The low calorie content of Cell Integrity or Cell Reprogram per daily dose has no effect on weight increase. Can Cell Integrity or Cell Reprogram be used for prevention? Certainly. Cell Integrity and Cell Reprogram are supplements and can be used for prevention. Food supplements are defined as: “products designed to integrate the common diet, concentrated sources of substances such as vitamins and minerals with a nutritional or physiological effect”. 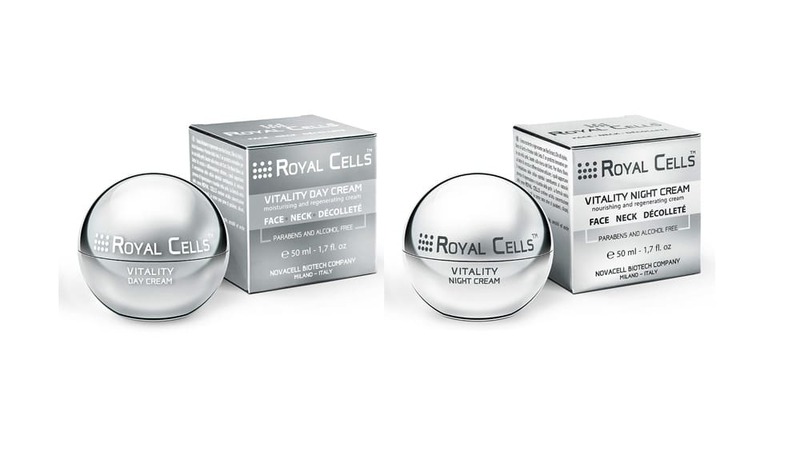 ROYAL CELLS Vitality Creams are moisturising and regenerating creams, containing ROE EXTRACT, Jojoba Oil, Hyaluronic Acid ( Day Cream ) and Silk Proteins. They are innovative skin care products, based on the research of MD Pier Mario Biava on cellular growth and differentiation factors, which support the metabolism of epithelial cells, contributing to the natural process of skin regeneration and renewal. The unique formula of the ROYAL CELLS creams contains a high concentration of natural ingredients, it is free from parabens, silicones, colourants and mineral oils and therefore particularly effective for dry, sensitive, as well as mature skin. ROE EXTRACT, which constitutes one of the fundamental components of ROYAL CELLS Vitality, is an extract of Zebrafish eggs (ROE), constituted by 99% from proteins and from 1% by nucleic acids. 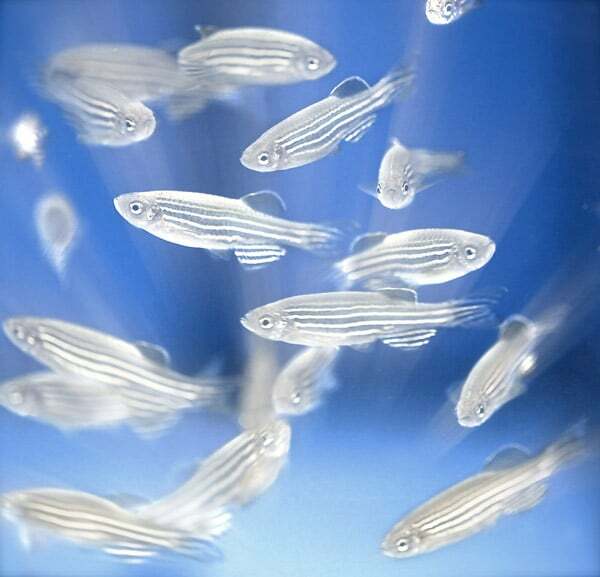 The Zebrafish has been chosen by MD Pier Mario Biava since its GROWTH and DIFFERENTIATION FACTORS are known in great detail. The analysis of the proteins, made by means of electrophoresis on polyacrylamide gel in order to standardize the product, has highlighted various fractions of different molecular weight comprised between 15 and 95 kDaltons. Analysis conducted with very sophisticated and accurate methods, such as mass spectrometry, has allowed the identification of the different types of the various proteins present in the ROE extract. MD Pier Mario Biava and his team of scientists showed that GROWTH and DIFFERENTIATION Factors increase the lifespan of cells impeding the cut of telomeres and contribute to the synthesis of proteins which arrest the cells ageing. 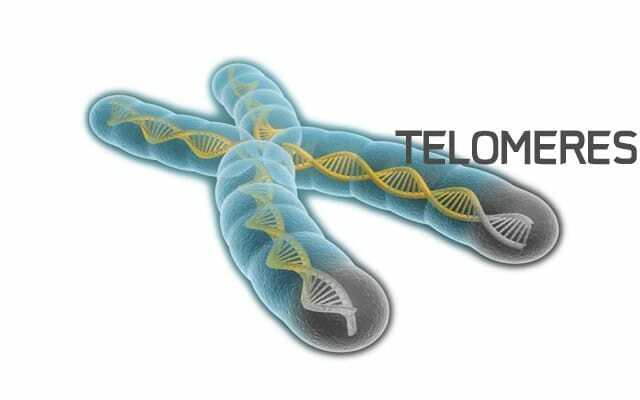 Telomeres are essential parts of human cells that effect how we age. Telomeres are the caps at the ends of each strand of Dna that protect the chromosome. Does ROYAL CELLS creams contain silicones? Are ROYAL CELLS creams safe? Yes, ROYAL CELLS contains only well tested ingredients that are recognized safe and effective. How these active ingredients are delivered to the skin? ROYAL CELLS delivers these active ingredients in totally compatible manner and harmony with the organic nature of your skin. The unique formula of the ROYAL CELLS creams contains a high concentration of natural ingredients. It is free from parabens, silicones, colourants and mineral oils. Aqua, glycerin, cetearyl alcohol, caprylic/capric triglyceride, hydrogenated vegetable oil, dicaprylyl ether, butyrospermum parkii butter, isopropyl myristate, simmondsia chinensis seed oil, glyceryl stearate, cetyl palmitate, smithsonite extract, glyceryl stearate se, cetearyl glucoside, stearic acid, tocopheryl acetate, oenothera biennis oil, roe extract, inositol, xanthan gum, manganese gluconate, saccharomyces/iron ferment, saccharomyces/silicon ferment, saccharomyces/magnesium ferment, saccharomyces/zinc ferment, saccharomyces/copper ferment, sericin, leuconostoc/radish root ferment filtrate, lepidium meyenii root extract, humulus lupulus extract, nelumbo nucifera flower extract, panax ginseng root extract, paullinia cupana seed extract, theobroma cacao extract, maltodextrin, sodium hyaluronate, rhodiola rosea root extract, sodium benzoate, phenoxyethanol, ethylhexylglycerin. 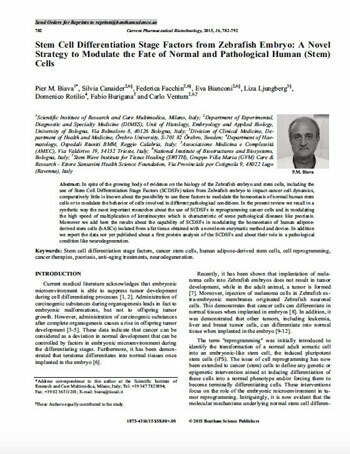 The information contained in this article are for informational purposes only and are not to be used as a means to diagnose or treat a disease. Everything about the physical and mental health should be treated by a doctor with proven expertise in the treatment of that specific disease. Dietary supplements can not be an alternative to medical treatment. The supplements are not intended as a substitute for a varied and balanced diet and a healthy lifestyle.